A versatile winter must-have featuring 800-fill responsibly sourced, HyperDRY™water repellent goose down. A Pertex® Microlight mini-ripstop nylon outer sheds the elements, keeping you warm and dry in harsh conditions. Mountain town denizens across the country live in insulation all winter long. The Hometown Down Hooded Jacket’s ALLIED Feather™ water repellent goose down has 800-fill that offers exceptional, lightweight warmth and versatility. 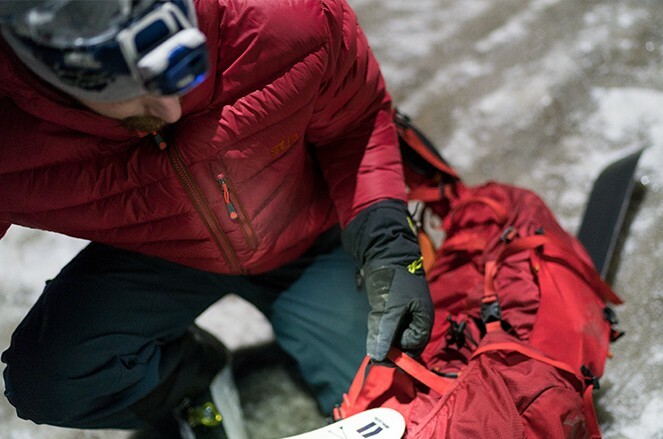 Wear it to work, to the mountain, or pack it into your backcountry pack. Pertex® Microlight mini-ripstop nylon sheds the elements while HyperDRY™ down will keep you warm and dry, even in wet, snowy conditions. 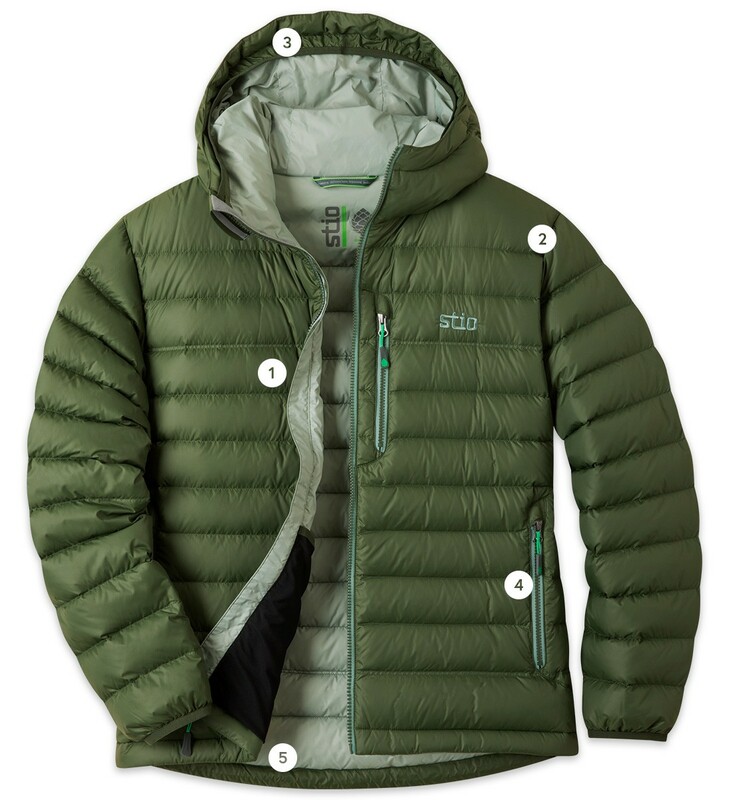 Features include exterior chest and handwarmer pockets, adjustable hem with low-pro cord locks for customized fit, and interior stash and security pockets for everyday or on-mountain essentials. ALLIED's newest water resistant technology, HyperDry™ results from years of research and development. Proprietary nanotechnology treatments create the longest lasting water resistant down on the market, meaning you stay warm longer in the wettest of conditions. As a bluesign® approved textile, it has met the most stringent of sustainable production standards. Center back length, 28 3/4"
"Campfires call for puffy jackets and the folks from Stio have just the right amount of puff... without sacrificing a degree of warmth." We obsess over the fabrics, materials and construction that make up our products, and our use of responsibly sourced HyperDry™ water repellant down is a manifestation of that obsession. It's certified as coming from a transparent, audited supply chain, with an emphasis on the humane treatment of animals. Built with only the best, we’re proud that 100% of all Stio down products meet the Responsible Down Standard.